It may be a bit far from Central London, but The Glasshouse, which is located right by the Kew Gardens tube station, is definitely worth a visit. The Glasshouse serves contemporary European food, based on traditional French cuisine and drawing cooking techniques from Spain and Italy. The menu changes regularly, and the chef uses global ingredients with finesse. Every course was unfailingly delicious and the creative combinations hit the palate in the right places. The service was warm and assuring, and the wine list is reasonably priced and offers a good selection. The restaurant is deservedly frequented by regular customers, and is also one of my favourite restaurants in London. If the exquisite food is not enough to lure you into Zone 4, then be sure to visit one of its sister restaurants, Chez Bruce in Wandsworth or La Trompette in Chiswick. 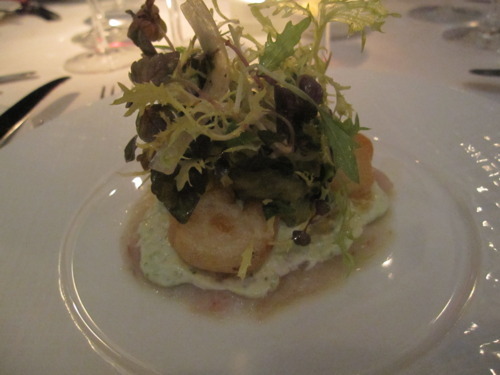 (1) I had an amazing starter, the Sashimi of seabass with wasabi mayonnaise, shrimp beignet and guacamole. The seabass sashimi was marvellously seasoned and I was amazed by the unexpected compatibility of wasabi and guacamole! 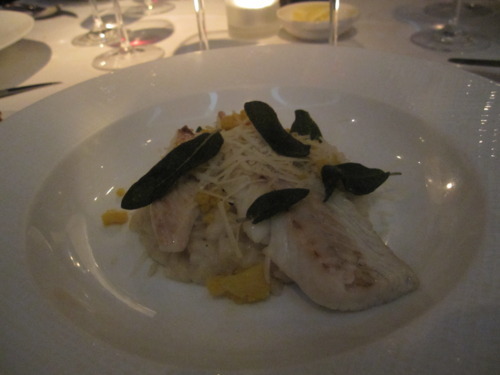 (2) I decided to go for a lighter main course, and ordered the Seabream with cauliflower risotto. The imaginative ingredients crammed delicious flavours into the risotto, and I loved the accompanying crisp sage, gruyere cheese and picked cauliflower! 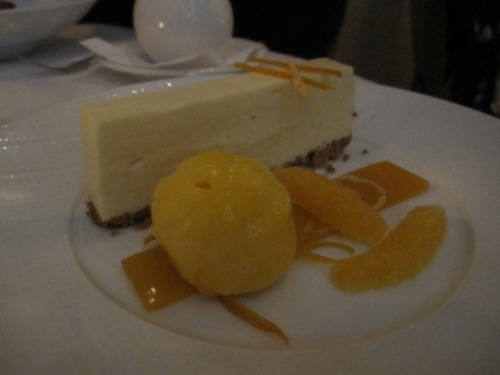 (3) For dessert, I had the Cheesecake with passion fruit jelly and orange sorbet. Light, fruity and delicious, the dessert was definitely able to match the high quality of the appetiser and the main course! This is by far one of the best Michelin one-starred restaurants that I have visited in London. Get on the tube and head to Kew Gardens this weekend, I promise you won’t regret it!